My career as a public servant lasted through university. 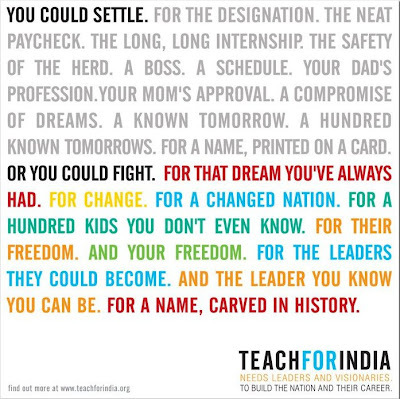 I quickly transitioned to the private sector after graduation, whereupon I allowed notorious companies such as Satyam to profit from my talents. Endowed with responsibility and managerial powers from a young age, I never maximized the amount of rent that I could extract from my employers as long as I enjoyed my work. When the excitement cooled and the learning peaked, it was an automatic trigger to explore new opportunities. and pretend that he just doesn't see? Having spent two and a half unforgettable years in China, it was time to shift gears. After completing a circuit of Southeast Asia, I came to Mumbai. In a country where 58% of children do not complete primary school and only 6% of the population make it to university, I entered the non profit space for the first time. 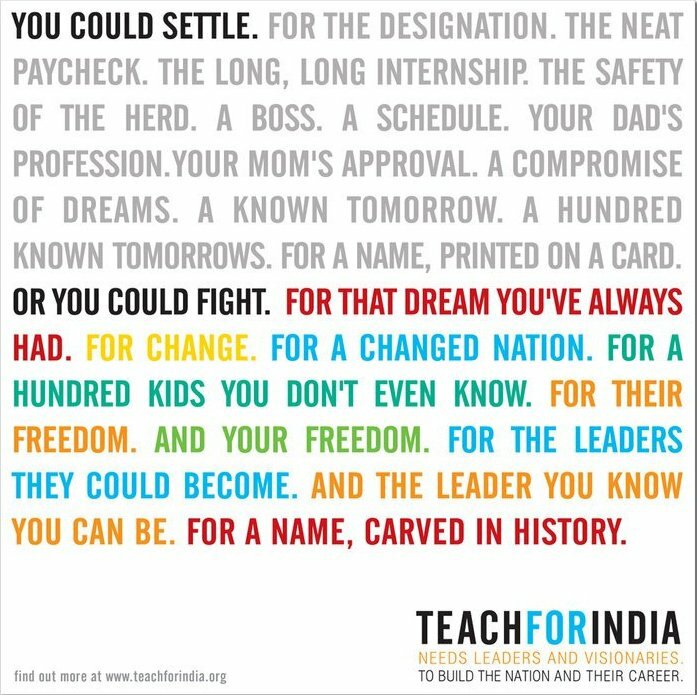 I joined Teach For India, a movement of young leaders intent on ending educational inequity in the nation.